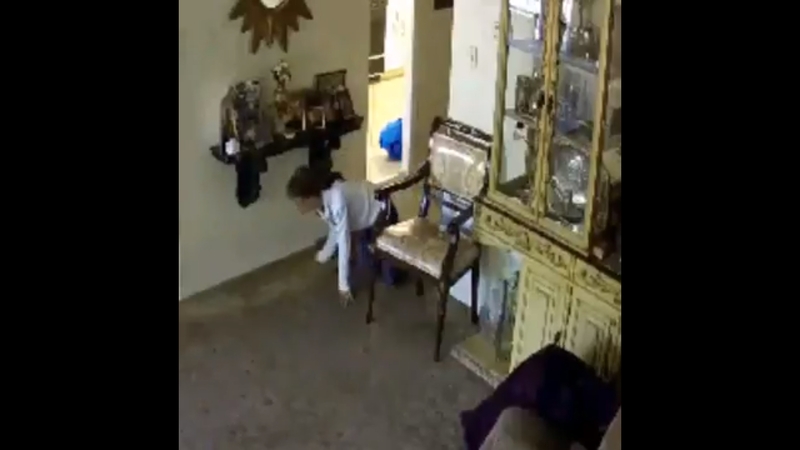 Surveillance video shows the suspect crawling her way into the home. Brooklyn, NY - Quick work by the NYPD has resulted in the arrest of a woman who robbed the home of an elderly Jewish woman in Borough Park. , surveillance video released by the NYPD showed a woman making her way into the residence, located in the area of 15th Avenue and 48th Street, on her hands and knees. Police said that the suspect took items valued at $2,000 before fleeing the scene. , she was spotted by detectives from the Brooklyn South warrants squad and was wearing the same clothing as in the surveillance video at the time of her arrest. Gafurova was arrested and charged with burglary and criminal possession of property, which included a necklace with white stones and silverware, in the July 23rd incident. She was arrested previously in June and charged with burglary and criminal trespass. Police said that they could not say if Gafurova knew her 90 year old victim, who was home at the time of the burglary but was not injured. Did she give back what she stole, or pawned it all? Didn't I just read comments about the NYPD being Anti-Semites ?? ?...Just kidding ...don't leave nasty comments . "She was arrested previously in June and charged with burglary and criminal trespass." But these goilem judges put her back on the street.